It was a remarkable end to the season for the Pambula Panthers in 2017. 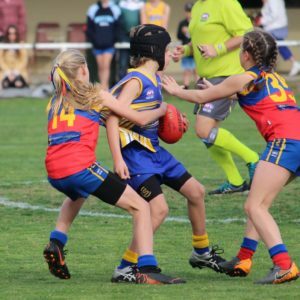 The Panthers had four sides in grand finals on the last weekend of the season with the club claiming three flags in some remarkable matches. The Panthers keep going from strength to strength in recent years with plenty of depth, strong junior development and a women’s side who is getting better each season and should be key challengers in 2018. 2017 finished as the year of the Panther. Review: What a finish it was for the Panthers in 2017 for their senior team. Pambula were able to put together their most complete game in this seasons grand final to dominate the conditions and the Narooma Lions to claim a 67-point win. It was an all-round team performance on grand final day with Jake Taylor, Sean Smith, Tom Keath and Mitch Cameron multiple goal kickers on the day, Aaron Proctor, Jordan Pilgrim, Stephen Butterworth and Tyson Nunn controlling the midfield whilst Hamish Wenczel, James Wheeler and Kyle Tucker played well down back for the premiers. The Panthers finished the season 12-3 with two losses coming to minor premiers Narooma while falling to Tathra in round 2 in a shock result. 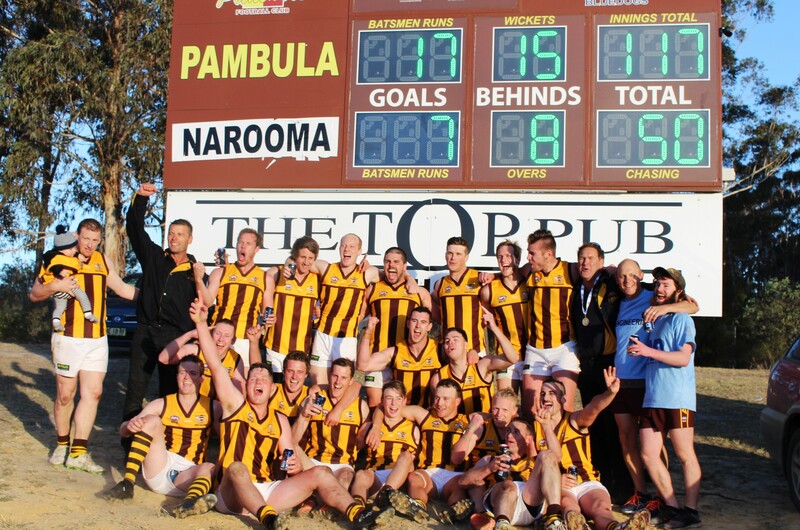 Our pre-season prediction had Pambula claiming the premiership due to their depth and our belief they had the strongest line-up which came to fruition in the final game of the season. With plenty of talent coming through the junior ranks in Shannon Butterfield, Declan Simonson and Adam Wilson and a talented core of players, the panthers are well positioned to go back to back in 2018 and challenge for 4 flags in 5 years. Key Player: Justin Dickson, was a difference maker for the Panthers in season 2017. With Dickson in the line-up the Panthers looked a much better side with Dickson rotating through the middle from half back. Set up the Panthers plays going forward and took some of the pressure off fellow half backer Charlie Shepherd. Review: The Panthers women’s team closed the gap on the top two in Eden and Tathra in 2017. The Panthers won 50% of their matches in 2016 and improved to 75% in 2017 with some impressive results during the season. Pambula claimed some impressive wins throughout the season defeating the bottom 5 clubs both home and away whilst putting together solid games to test Tathra and Eden throughout the year claiming a draw against the Whalers in round 3. The Panthers will be disappointed in the way that their season finished, falling to Eden in a pulsating preliminary final. In a seesawing contest, the Panthers came into the 4th quarter 9 points down and after dominating the fourth quarter with a high volume of inside 50’s the Panthers fell 4 points short of a grand final appearance. The Panthers were able increase their wins total through the superb play from Romy Cook, Lee Collimore, Annie Gilbert and Brit Salt throughout the season, and with several young players joining the ranks in 2017 the Panthers will be genuine premiership contenders in 2018. Key Player: Madi Whatman, after finishing runner-up in the league best and fairest in 2016, Whatman claimed the 2017 honour with 25 league votes in 9 regular season games. Whatman was unavailable for the team’s final 5 games and first final, and although she still played well in the preliminary final, she was far from her best. Review: It was a dominant year for the Pambula development grade going undefeated in 12 regular season and 2 finals games, and at times the Panthers were dominant finishing the season with a 400% differential. The Panthers weren’t tested in the regular season with the team claiming at least double digit wins in each game with their closest margin coming against Tathra in a 33-point win. The finals were a different story with an inaccurate Panthers side scraping a 3-point win against the Lions in the major semi-final before claiming their perfect season with a 26-point win in the decider. Ryan Becker was Pambula’s best in the grand final whilst Chris Clapton, Lewis Hopkins, Ian Smith and Tom Hammond had solid seasons for the premiers. Key Player: Tom Keath, Keath claimed the league best and fairest award pipping teammate Chris Clapton in his first season since 2015. Keath wasn’t a part of the Panthers development premiership as Keath showed enough talent towards the end of the season to be a part of Pambula’s senior premiership. Review: The Panthers felt confident coming into the 2017 season, with the team confident that they could bounce back from last season’s grand final loss against the Merimbula Diggers. The season started well for the side with a win over their cross-town rivals in round 1 with the team then going on to claim 4 straight wins. After their round 1 win to Merimbula, the Panthers weren’t able to get the best from their squad in the key match ups with the Panthers losing the remaining 4 contests between the two sides including the grand final. At times, the team struggled to impact the scoreboard which was a surprise considering the likes of Flynn Cook, Angus Tarpey and Will Keller up forward for the team. Several players within the under 16 side gained valuable senior and development grade experience this season with Finley Cooke, Flynn Cook, Angus Tarpey, Jordan Chappell-Stroud and Kynan Baker all gaining experience whilst playing an important role for the Panthers in the under 16’s leading the Panthers to another grand final appearance. Flynn Cook led the league in goals kicking 44 goals for the season. The Panthers will still have several key players within the team for 2018 although a couple of key players going out in the form of Finley Cooke among others and the improvement of teams around them may see the club come back to the pack. Key Player: Finley Cooke, If the Panthers didn’t contain as much depth as they did in 2017, Cooke would have been a regular in the side which shows his class and toughness. Cooke has a knack of finding the football and is not afraid of putting his head over the ball when approaching the contest. Look for Cooke to have a lengthy career at senior level. Review: What a season it was for the Panthers in 2017. Pambula finished 3rd in the regular season 6 points behind the Diggers in second and 14 points short of minor premiers Bermagui but all that counted for nought. What the Panthers managed in the finals was nothing short of astounding. With the Panthers splitting the season series with the Lions, Diggers and losing both matches to the Breakers the Panthers were able to sweep the finals with convincing wins over Narooma and Merimbula before pulling off one of the great grand final upsets holding off a fast finishing Bermagui. 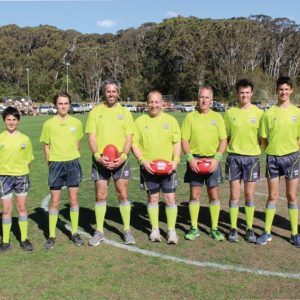 Coming into the grand final as underdogs, the Panthers got off to a quick start in the grand final and led by three majors leading into the fourth quarter. A couple of goals in the fourth looked to have sealed the deal with 10 minutes remaining although a fast finishing Bermagui made everyone sit on the edge of their seat as Pambula came away with a three-point win in a remarkable game. The Panthers finished the season winning 7 or their last 8 games on the way to their grand final win and got key contributions from the likes of Billy Cooke, Jai Van Camp, Will Kellar, Zac Keogh and Zane Holmes. Key Player: William Seach, Seach was a beast in 2017 for the Panthers dominating opposition team’s week in and week out. Seach claimed the league’s best and fairest and was named best on ground for the clubs Premiership team terrorizing the Breakers in the middle claiming plenty of touches all over the ground. Review: It was a tough season for the Panthers in the under 11’s in 2017 with the team missing the finals this season finishing the year in 6th place. The Panthers have been used to performing well in the under 11’s with a premiership in 2015 and finals appearance in 2016 and will look to bounce back in 2018. Pambula claimed 4 wins in 2017 defeating Tathra on both occasions and claiming close wins against the Giants (1 point) and Whalers (5 points). The Panthers failed to get any traction against the top 5 sides in 2017 with Pambula’s best match coming against Bermagui in round 15 where the Panthers suffered a 1 point loss with the side a chance of stealing the match late. Nate Woods was on a tear early in the season for the Panthers earning 17 league best and fairest votes in the first 9 rounds before heading to the snow and was important for the under 13’s in their premiership win. 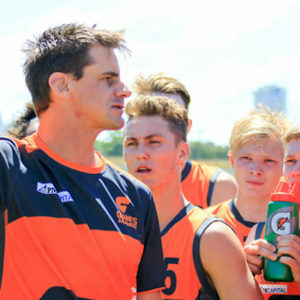 William Clapton, Connor Dickson and Fergus Judd were all important pieces for the Panthers in 2017 with all three gaining experience at the under 13 level. Key Player: Anthony Seach, Seach played in all 14 games for the Panthers in 2017 with the young midfielder in the best players for 13 games. Seach claimed 18 league best and fairest votes for the season and with one season left in the under 11’s look for Seach to be among the top vote getters in 2018.